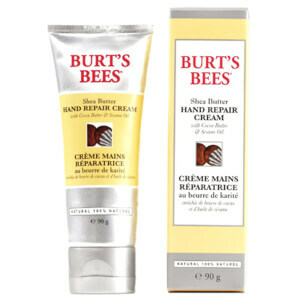 You can now Buy Burt's Bees online at RY for fantastic low prices. Come and join the natural revolution with these earth friendly natural products. Burt’s Bees was started when Roxanne, a part time waitress was picked up hitchhiking to town by small-time beekeeper, Burt, who was, and continued to live in an abandoned turkey coop.Tragically Burt died in 2015 aged 80 and humble until the end. Burt's Bees began in 1984, and in the following 20+ years the Burt's Bees has maintained a steadfast commitment to making life better for everything that it touches. They truly believe that anyone who uses their products should know exactly how natural the product they are using is, and therefore a percentage of natural ingredients is clearly labelled on the front of each product. All products average 99%, with over half the entire range being 100% natural. The lower percentages are not products that contain unnatural ingredients, some ingredients are simply not as stable as others, and change molecularly when combined with others. You will never find any Petrolatum, Mineral Oil, Parabens, Propylene Glycol, Phthalates or Sodium Lauryl Sulphate in Burt’s Bees products, making them suitable for absolutely any skin type. The Burt’s Bees company philosophy is “Committed to The Greater Good™”. This is the basis on which the whole company works, and taking care on the environment is part of the DNA at the company. Burt’s Bees was founded on two simple and profound beliefs: natural products work in harmony with our bodies to promote balance and well-being; and we should respect, preserve and improve the precious resource of our environment. They are committed to the highest levels of environmental sensitivity in the choice of their packaging, using materials that are recycled and recyclable. They don’t want to create any additional garbage on the planet, and work hard to Reduce, Re-use and Recycle. Burt's Bees Australia follow the same principles, and all philosophies of this American brand filer down through to all employees. 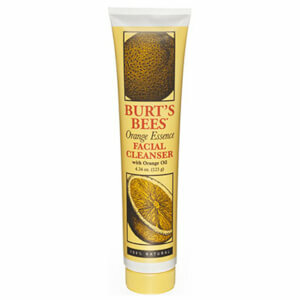 Join the phenomenon that is sweeping the skin care industry and buy Burt's Bees online.